£50 per pair £35.00 for females. 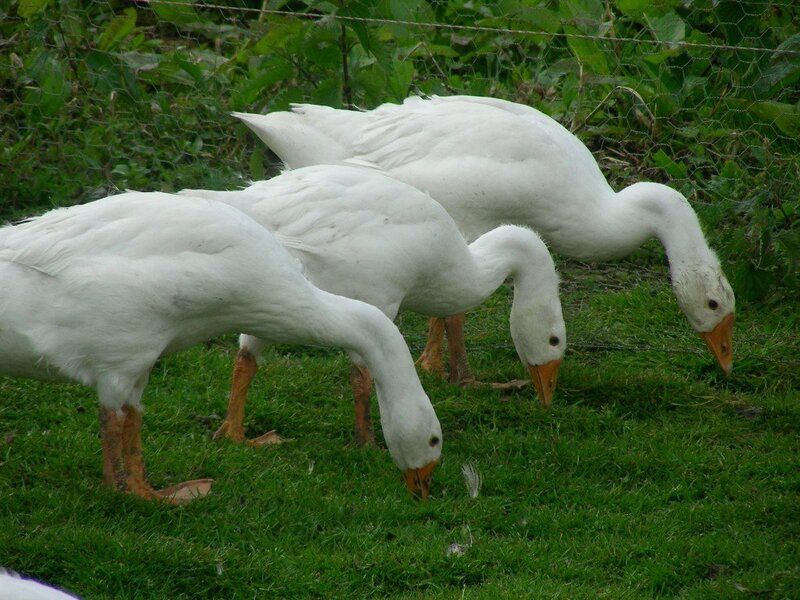 Chinese geese come in two colour forms: the white and the brown (also called ‘grey’ or ‘fawn’). The brown is the same colour as the brown African. 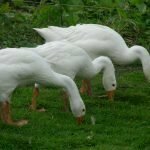 Both breeds come from China, and were developed from the wild swan goose. The larger African or ‘Lion Head’ was reared as a table bird; the lighter weight Chinese produces more eggs. Chinese are light-weight, graceful birds. They have a long, slightly curved neck and a rounded, prominent knob on the head which is much larger in the gander. The function of this is not known. This feature is seen in mute swans, but seems to have developed in the Chinese goose after domestication from the wild swan goose. They are said to be the noisiest breed of geese, and have been employed as ‘watchdogs’. They can be very tame and amenable. 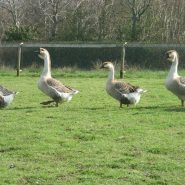 The birds mostly kept and exhibited in Britain now are the lighter-weight ‘American’ exhibition geese which are far more showy than the ‘English’ type of the pre-1970s. Ganders are 10-12 lbs in weight; geese 8-10 lbs. Females can lay as many as 80 eggs per annum, and may lay in the autumn as well as spring and early summer. Not all strains are this prolific. Be the first to review “Chinese Geese” Click here to cancel reply.